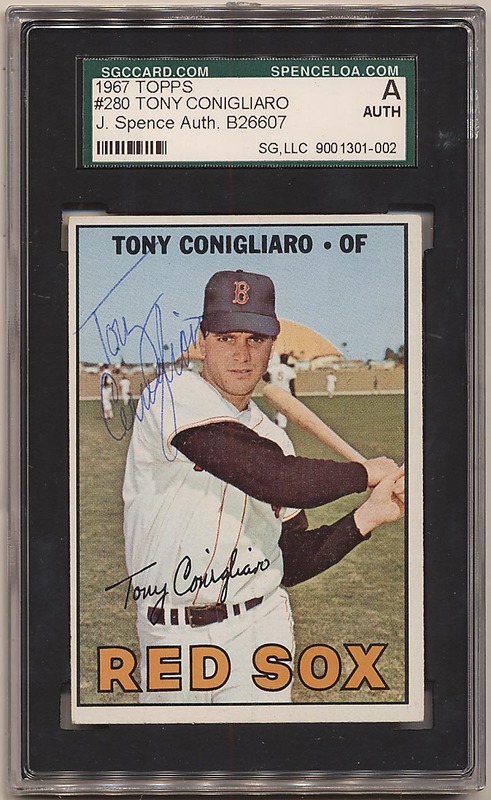 Great signed card as it is from the best Red Sox year of this generation, so popular among collectors. Offered is a solid Ex or better card, signed in solid blue ballpoint ink by the upper left corner. Slabbed by JSA.